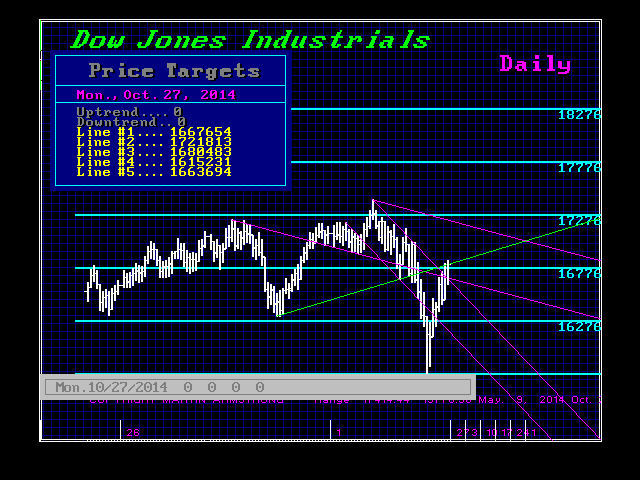 Dow Closes Strong – Higher Highs or Lower Lows? The Dow Closed above 16660 and this now opens the door for a rally to test the 17000 level reaching a high perhaps on Thursday. We need the see a closing ABOVE at least 17010 to imply that the test of the Weekly Bearish Reversal that held at 15960 may hold. The major support lies in the 14000-15000 zone regardless of the timing. In any event, the computer at least picked the day of the low with good precision. 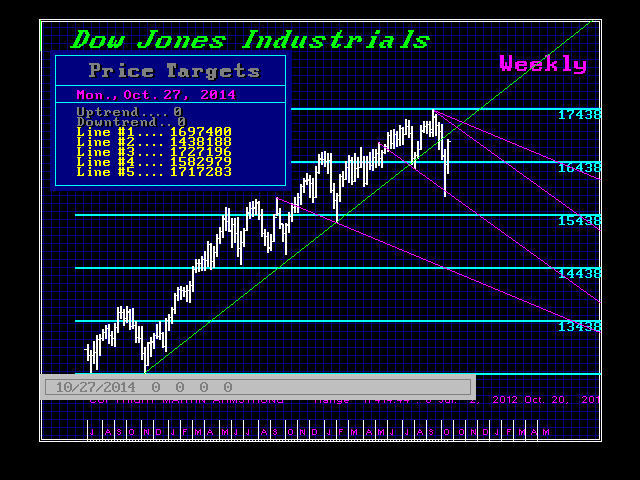 Now we have been looking at the week of 10/27 in many markets and the week of 11/03. It appears that exceeding this past week’s high may produce the intraday high this coming week. However, we have a Directional Change and a return to high volatility starting the week of 11/03. Therefore, that week may simply be a return of a correction rather than the low. 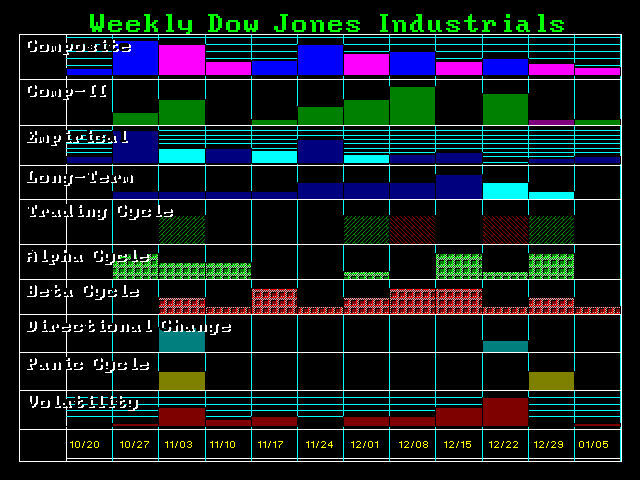 Here is one of the older charts published. Note the point at which the Breakout to the upside would begin. This now becomes the support at the max on the downside. The market is still dancing and getting ready for a major move. The Bond Bubble is the danger and when the bonds go first – that is when capital shifts wildly to the private sector. This is where we could see the Dow rise dramatically still doubling again going into 2017-2018 if Hillary does not confiscate all wealth and hand it to Washington – except her own of course. « Hillary – Says Business does NOT Create Jobs – Washington Does?